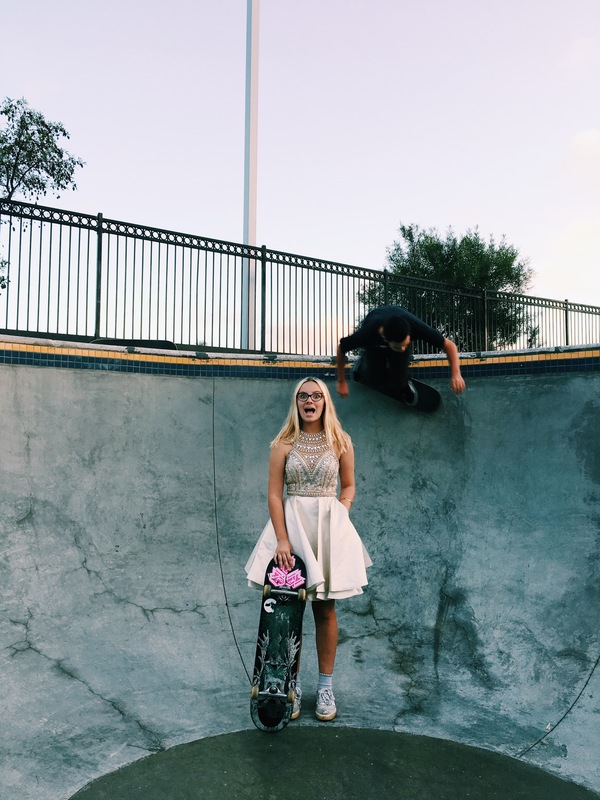 On October 27th I started a series on my homecoming dress. In the first post I said I’d be donating the dress to charity so someone else could enjoy it for prom. 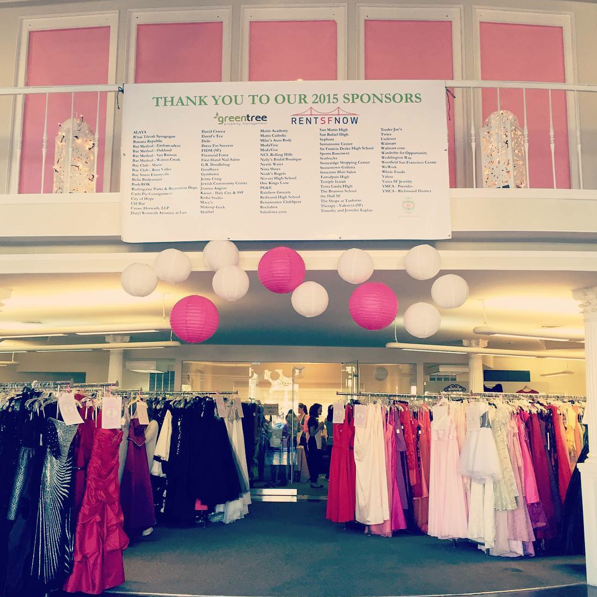 This post is about The Princess Project, one option for donating your dress. 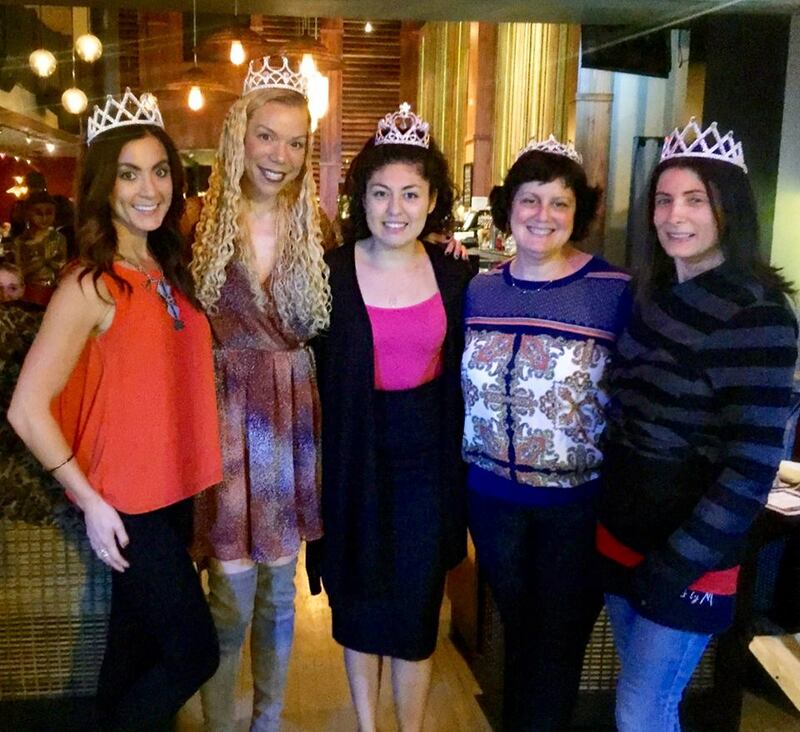 The Princess Project has several chapters and for this post, I got to interview the San Francisco Chapter. I worked with Julia Mathis and Lisa Fettner. 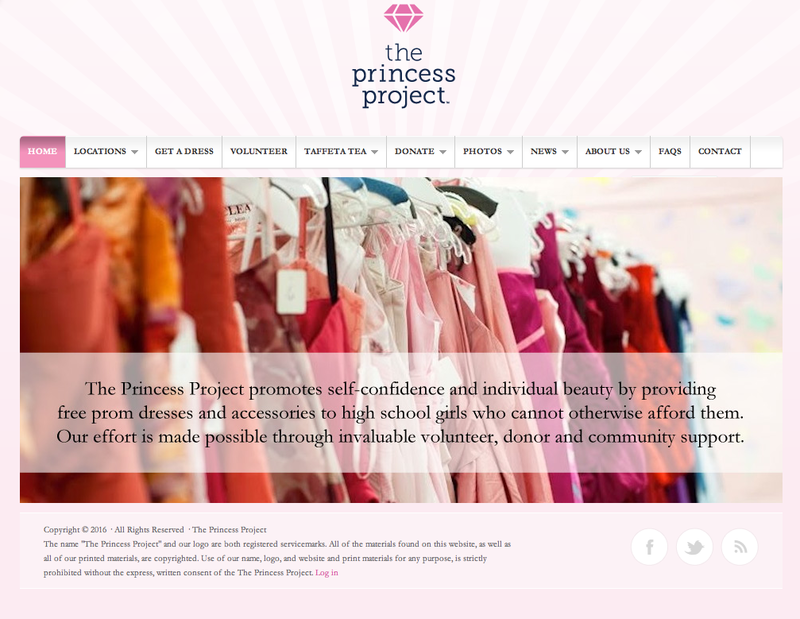 There are numerous ways to check out the Princess Project. In addition to the link above many of the chapters have their own web page. This is the link to the SF Princess Project. 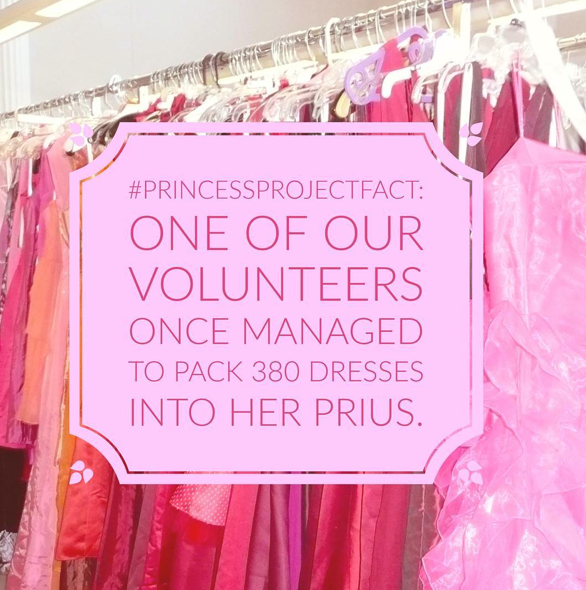 The Princess Project believes that giving a girl a prom dress is a way to make a girl feel special & build self-confidence. Yes I know it’s the person not the clothes that are unique and special. However, prom is a huge right of passage. For better or worse in our society it has been build up to be this special day. We have all watched Pretty in Pink. Why should the special day be only for those with money? I think it should be for anyone who wants it. Would I be devastated if I didn’t go to prom? Yes, I’d be devastated if I wanted to go and the only reason I couldn’t go is because I couldn’t afford a dress. Note if I wanted to go and didn’t want to wear a dress, that’s not a problem. A dress is not a requirement for prom, but having a dress if you want one and can’t afford it is a problem. I’m happy there are organizations like Project Princess to solve it. Plus what happens to all those homecoming and prom dresses. I’m doing a series of posts on wearing my homecoming dress several times, but I think most are worn once and forgotten. Above a picture from The Princess Project, San Francisco IG. In addition to dresses, which can be former prom dresses, formal gowns, fancy party dresses, or homecoming dresses, they collect jewelry and shoes. They do ask that all items be in excellent condition, current (within the last 5 years), and clean. Depending on the chapter, there are year round donation spots and seasonal donation spots. You don’t need to make an appointment to donate, just follow the web instructions. The major collection drive starts in January and runs through the end of February/early March when The Princess Project begins their give away days. So yes holiday dresses have a place to go in the new year. 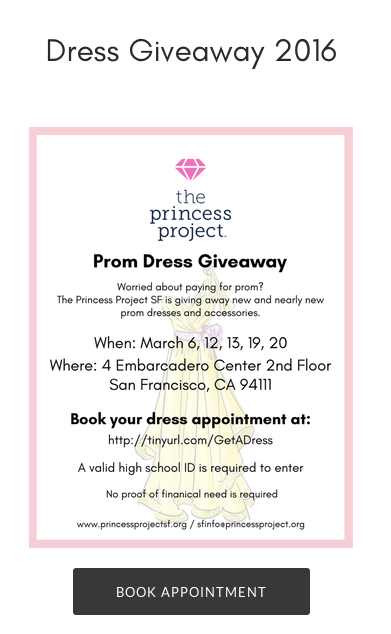 Below is The Project Princess SF invitation if you need a dress. I love that picking out a dress is a special event, just like it would be if you were going to the store. As for how many dresses are donated and find homes – lots and that’s good because the need is great. For the first time in at least 50 years, a majority of US public school students come from low-income families . . . 51% of students in per-kindergarten through 12th grade in the 2012-2013 school year were eligible for the federal program that provides free and reduced-price lunches. 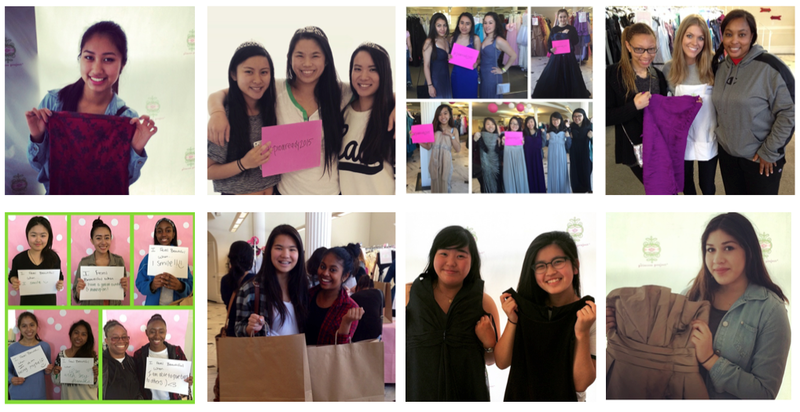 . .
Below these are just a few of the girls who received a dress in past years from The Princess Project SF. Below the current leadership team of The Princess Project SF. 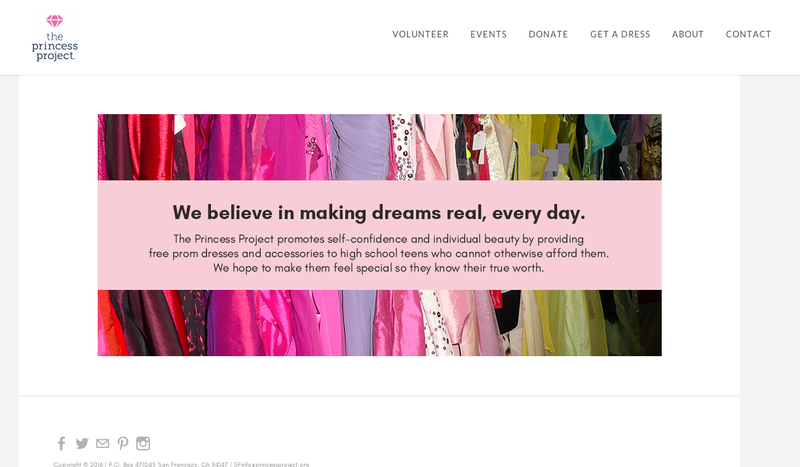 If you have a dress that meets the requirements for The Princess Project, I encourage you to take the time to donate it because there is a girl out there that needs it. Be on the look out for the next post. After some delays, I think the dress is really headed for YMCA Clairemont Skate Park.